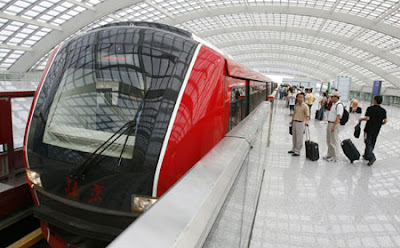 If you are arriving at the Beijing International Airport in China, you will be able to board the new Airport Express train that will take you directly to the heart of Beijing. This will save you all the trouble getting a cab and no more worrying about the traffic road condition which can be a nightmare if you are rushing for time. The line will have only four stops along the entire line. 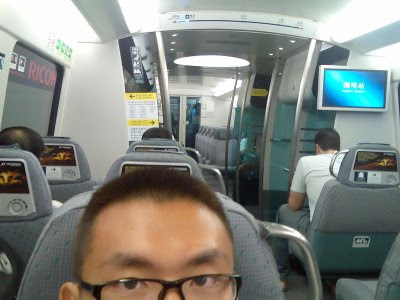 There will be two stops in central Beijing -- Dongzhimen and Sanyuanqiao -- with the two remaining stops at Beijing Capital International Airport. 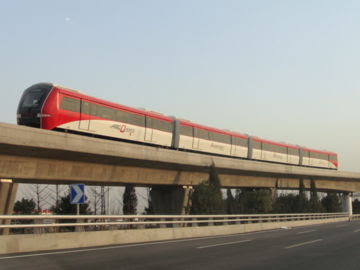 The Airport Express reaches Terminal 3 before reaching Terminal 2; passengers for Terminal 1 need to use the transfer passageway at Terminal 2. Service intervals are expected to be 5 minutes at the start, with the entire trip taking around 18 minutes (Terminal 3) or 25 minutes (Terminal 2), not bad for a journey of 28km. I used to spend around at least 30-40 minutes of commuting by taxi from the airport to my hotel provided if the traffic is good.